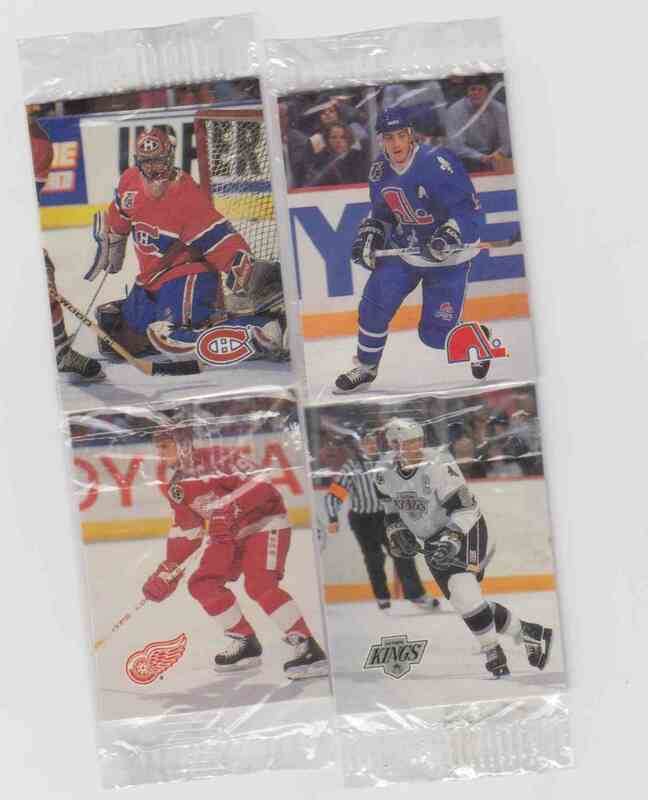 You look at Hockey trading cards Serie (1 & 2). 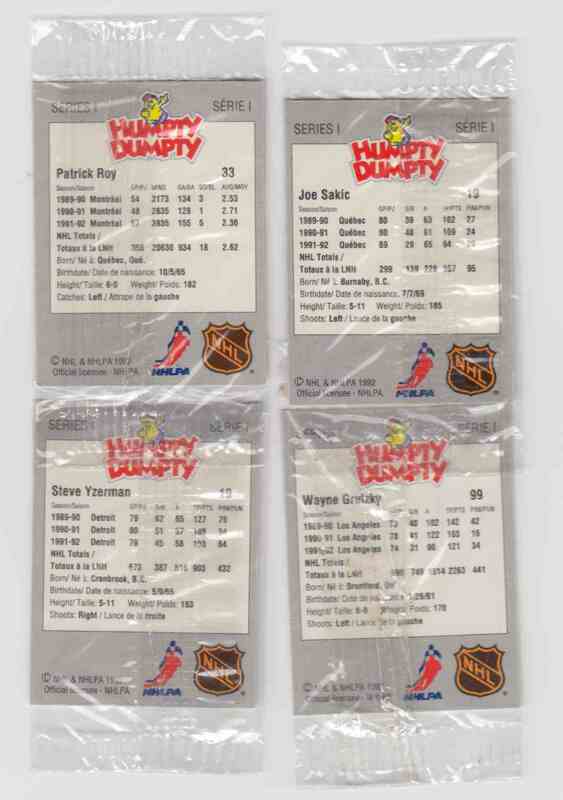 1992-93 Humpty Dumpty NHL Hockey - Complete Set (52) - Cello. It is for sale at a price of $ 30.00. Approximate size based on scanned front picture: 4¾" x 3¾"